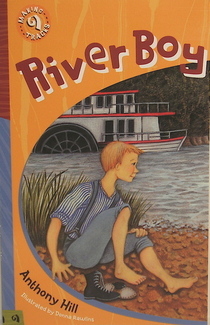 Anthony's little chapter book River Boy was written for the National Museum of Australia – where he used to work – as part of their 'Making Tracks' series for young independent readers up to 10 years old. An object in the Museum's collection is the starting book for an adventure story – and Anthony chose the paddle-steamer Enterprise to tell of young Nat Shannon's first voyage as a cabin boy down the Murray River in the 1880s ... at the very height of the steam boat days. When reading a Life of Captain Cook, Anthony was struck by a single sentence which referred to a boy named Isaac Manley, who sailed as a ship's servant on HM Bark Endeavour. Isaac was appointed a midshipman on the voyage home in 1771, rose to become an admiral, and when he died at the age of 82 was the last survivor of the Endeavour crew. What a way to re-tell the story of this great adventure for a new generation of readers! It is all part of the detailed and meticulous research Anthony puts into his historical writing, to ensure that the externals are as accurate as possible. Where some people may change the facts to suit their story. Anthony must change his story to fit the known facts. And it shows in the response to his books. 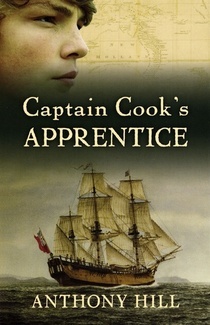 Captain Cook's Apprentice went into reprint after less than than three months, and it has been very well received by the critics.